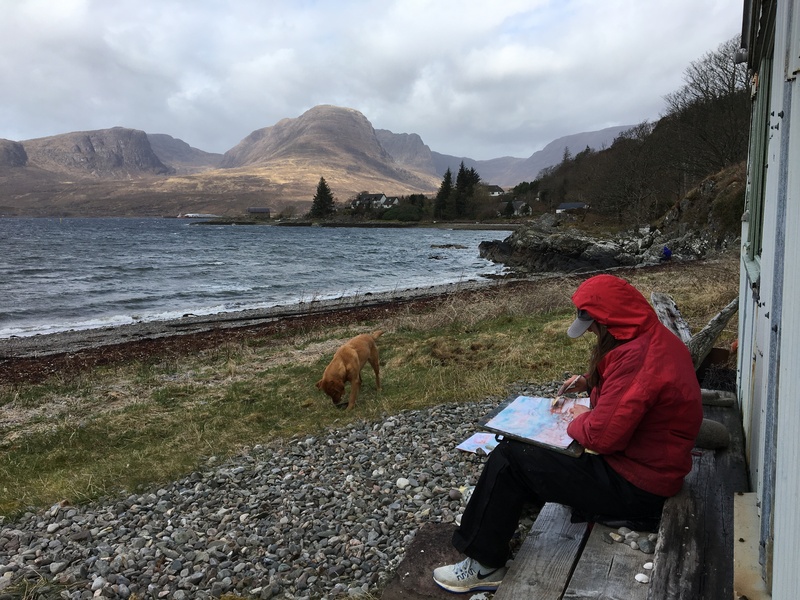 This course, led by Eleanor White, will explore exciting methods of drawing, both from direct observation and from more abstract sources, by tapping into the west coast landscape as a starting point from which to gain inspiration. 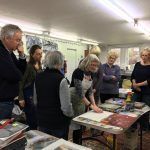 The course will introduce you to a variety of different drawing media and subjects that will help to expand your ability and confidence to draw. 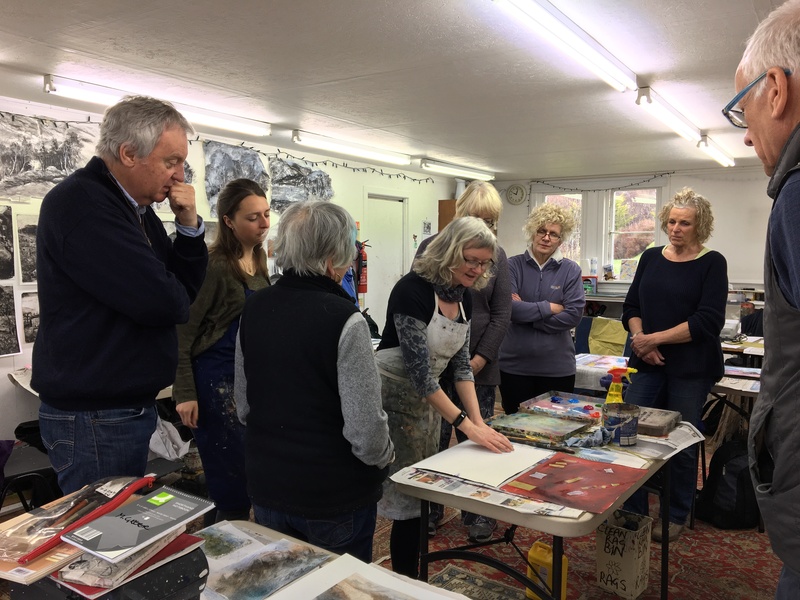 By experimenting with scale, materials and methods of application, the course will aim to reveal how drawing can be a vital tool in understanding the visual world. 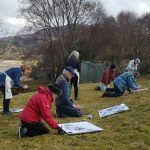 This course would suit those with no experience and also those that use drawing regularly, the aim being to share in the learning of what comes from daring to draw. 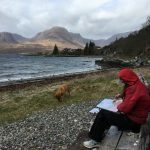 Eleanor is an excellent and inspiring tutor, with years of experience as both a teacher and professional artist. 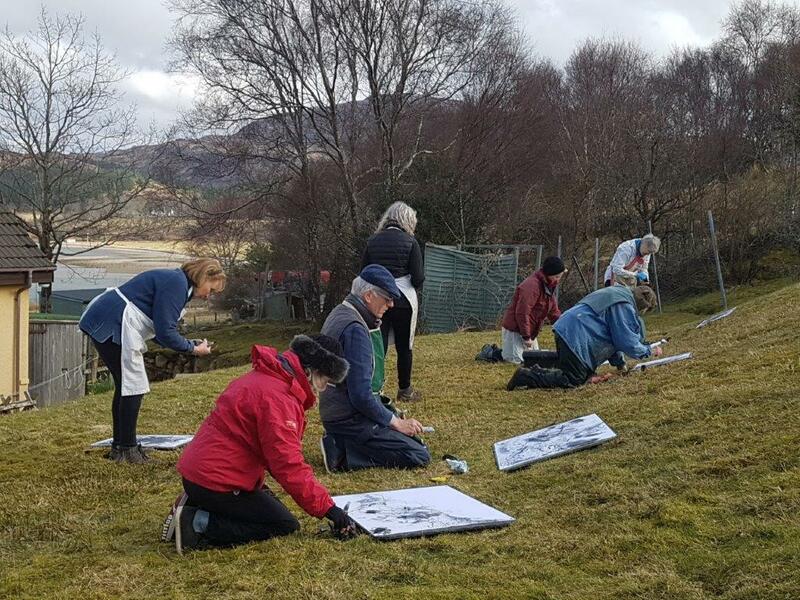 She lives in Ullapool where she is director of the esteemed Bridge House Art School and is a visiting tutor at Leigh School of Art, Edinburgh. 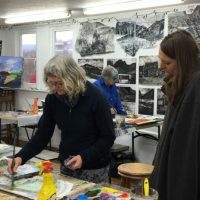 Her own practice is mixed media drawing and painting.